Spider bites cause a large area of redness on the skin with the bite mark in the center of the red skin, according to the Children’s Hospital of Philadelphia. An antibiotic on the wound helps to prevent infection. If the bite does become infected, there will be additional signs and symptoms. The Children’s Hospital of Philadelphia recommends saving the spider for identification if possible. The bite area will continue to remain red and may even spread out farther in a spider bite that has become infected. The reddened skin may feel warm to the touch or even hot. 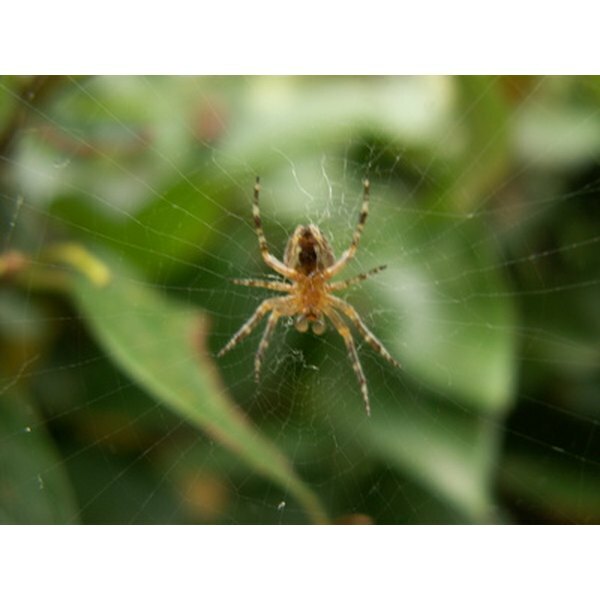 Spider bites cause a larger area of redness than other insect bites and this increases the risk of infection, according to AskDrSears.com. Spider bites are often swollen immediately after the bite, but when there is infection, the area will swell and become more painful. The initial symptoms of the spider bite worsen as infection sets in. Spider bites can be extremely painful, according to AskDrSears.com. Draining pus is a sign of an infection as the body attempts to fight off the infection. The presence of pus on a spider bite means that the bite has become infected. Keep the bite area clean and covered. Patients with an infected spider bite that continues to worsen should see a doctor immediately. Fever and red streaks extending from the bite are an indication of a serious infection that requires antibiotics to treat. A spider bite from a venomous spider must be treated immediately. Symptoms of a bite from a venomous spider can begin to appear within hours of the bite and include sweating, nausea, vomiting, stomach cramps, chills, fever and headache. Contact the poison control center or your doctor immediately if a venomous spider is responsible for the bite.